Reed canary grass is common in wetlands throughout Wisconsin and is one of our state’s worst invasive species. Settlers and farmers planted this grass as a source of food for their livestock. This species is very aggressive; growing in thick, dense mats, it prevents other native wetland plants from growing. The best control of reed canary grass occurs when you catch it before it dominates your wetland. Your choice of control method depends on the size of the stand and the health of the native plant community in your wetland. In a wetland where reed canary grass is not dominant and native wetland plants are present and if the area is relatively small, an effective (though time- and labor-intensive) method to reduce reed canary grass over time is to hand-pull and seed-top reed canary grass in the spring. This technique is not an effective strategy if your infestation of reed canary grass is a monoculture or if your wetland is very large. 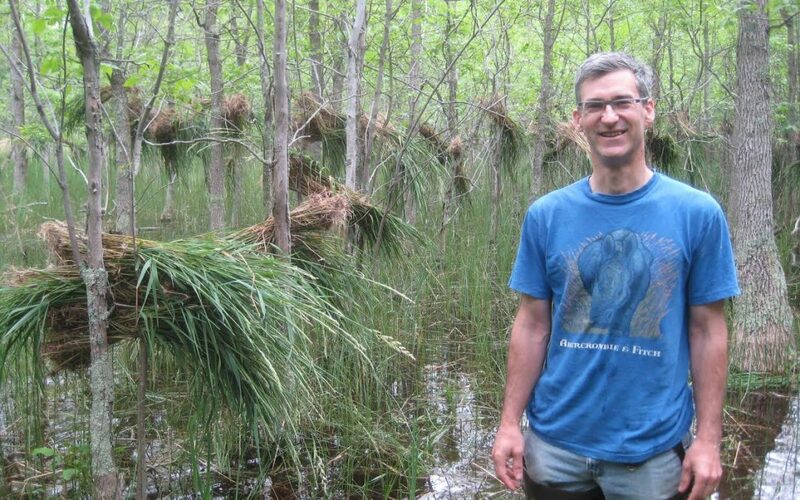 Landowners Dan Collins and Nancy Aten in Door County found that if they pulled reed canary grass from their wetland before it flowered, they could leave the pulled plants in the wetland (hanging from tree branches where it could dry out and not re-sprout). This saved the back-breaking labor of removing the pulled plants from the site. This technique worked in April, May, and early June in Door County. Dan and Nancy found that, once the reed canary grass plants had flowered, they could be more efficient with their time by simply cutting and bagging the seed heads instead of pulling the whole plant. While this technique did not kill the plant, it did remove the seeds, preventing further infestation. This technique was effective only until the seed became viable. Invasive species management is a long-term commitment. Be persistent. Once you start a management effort, do not allow invasive species to recover by suspending your management efforts for a growing season. Generally, you will need to treat the site for a minimum of 3 to 5 years. 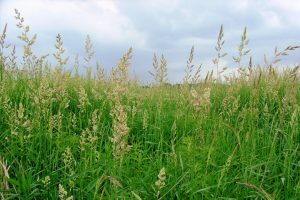 Learn more about reed canary management with the Wisconsin Department of Natural Resource’s Reed Canary Grass Management Guide.